A two-volume Army study of the Iraq war is a deep examination of the mistakes and success of the war effort that also takes aim at critics who would slough off the conflict as they shift to near-peer threats. The study, commissioned by former Army Chief of Staff Gen. Ray Odierno in 2013 and continued under current chief Gen. Mark Milley, was delayed for release since 2016, when it was completed. Some said it was due to concerns over airing “dirty laundry” about decisions made by some leaders during the conflict. The 1,300-page, two volume history, complete with more than 1,000 declassified documents, spans the 2003 invasion through the U.S. withdrawal, the rise of ISIS, and the influence of Syria and Iran. “At the time of this project’s completion in 2018, an emboldened and expansionist Iran appears to be the only victor,” authors wrote in the concluding chapter. Col. Joe Rayburn and Col. Frank Sobchak, both retired, authored the study. They note the damage to the political-military relationship that the war has caused, even to the American public. The study highlights key mistakes made by top generals early in the war. They also bluntly address naysayers who see the war as an aberration, and look only for the Army to move back to its traditional large-scale warfighting role, as a quick path to losing the hard-earned lessons of counterinsurgency warfare, portions of which will no doubt be part of future conflicts whether with terrorist groups or with nation state near-peers. “The character of warfare is changing, but even if we face peer or near-peer competitors in future conflicts, they are likely to employ a blend of conventional and irregular warfare — what is often called 'hybrid warfare’ or ‘operations in the gray zone,’ ” authors wrote. He notes that following the war, the United States has entered “another historical cycle” like wars past, where civilian and military leaders debate the utility of land power. And he points directly to an overtaxed Army at even higher troop levels than they are now. One issue raised repeatedly in the study is the lack of troops — within the deployed brigade combat teams, available for other operations such as the war in Afghanistan, and lack of an operational reserve in theater for responses to major events. However, the study doesn’t just focus on the military’s failures in seeing the changing nature of the war. He sees the analysis as a start of what will be a lengthy analysis of the conflict. “OIF is а sober reminder that technological advantages and standoff weapons alone cannot render a decision; that the promise of short wars is often elusive; that the ends, ways, and means must be in balance; that our Army must understand the type of war we are engaged with in order to adapt as necessary; that decisions in war occur on the ground, in the mud and dirt; and that timeless factors such as human agency, chance and an enemy’s conviction, all shape а war’s outcome,” he wrote. Highlights of the study include validations of criticisms made at the time the war was being fought, and others that were not foreseen and only understood in the years that followed. Study authors note that technology could not always make up for manpower shortages, that coalition warfare was “largely unsuccessful” for several reasons, that failing to account for a lack of understanding of the inner workings of Iraqi politics and group struggles meant some military unit actions did exacerbate problems. And those battlefield commanders who did find innovative solutions to ground-level problems were not only often not commended or heeded in their innovations, they were often penalized for their work that inverted policy to adapt to real time needs of the battlefield. The “short war assumption” and overly optimistic thinking drew out problems by pushing funding and manning to future projects because victory was always 18 months away. The transformation of the Army to create more BCTs resulted in fewer units available for deployment, stretching the active units thin and requiring National Guard units to deploy in a large-scale conflict for the first time since the Korean War. Half of all brigades in Iraq at the time of the 2005 election were Guard units. While the authors commended the Guard units for their service, they noted that, at the time, they were less experienced soldiers thrust into a critical time of the war without proper resourcing. And how leaders assessed their own performance during the war suffered from a lack of clear understanding of what mattered. 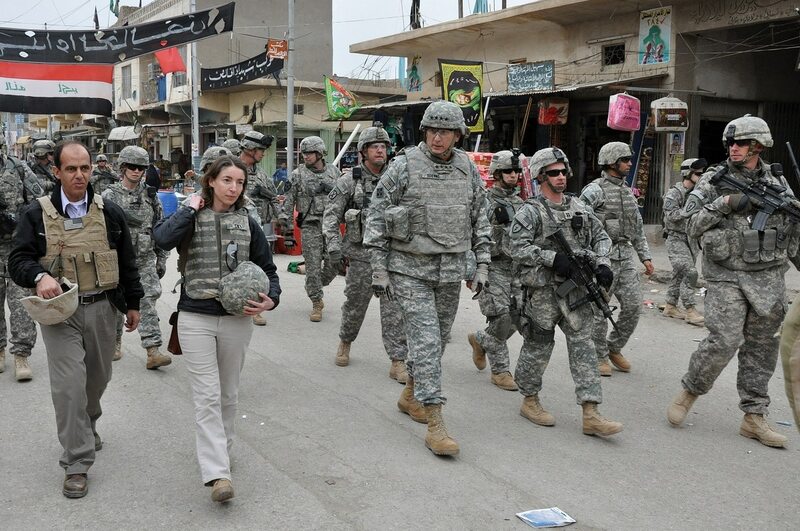 They leaned too much on “inputs” rather than “outputs,” for example, money spent, Iraqis trained or insurgents killed or captured — rather than whether there was more cooperation with locals or reduced attacks. “Army leaders have become too enamored with the ‘fetishization’ of statistics and metrics, when they only provide a snapshot in time of a portion of the situation,” authors wrote. 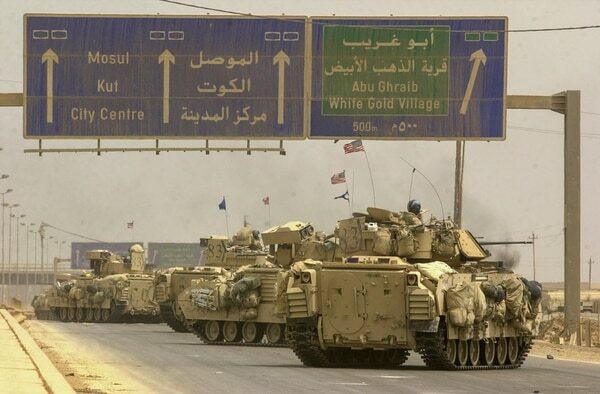 The need for more troops: At no point during the Iraq war did commanders have enough troops to simultaneously defeat the Sunni insurgency and Iranian-backed Shiite militias. The failure to deter Iran and Syria: Iran and Syria gave sanctuary and support to Shiite and Sunni militants, respectively, and the U.S. never developed an effective strategy to stop this. Coalition warfare wasn’t successful: The deployment of allied troops had political value but was “largely unsuccessful” because the allies didn’t send enough troops and limited the scope of their operations. The National Guard needs more training: While many National Guard units performed well, some brigades had so much difficulty dealing with insurgents that U.S. commanders stopped assigning them their own battlespace to control. The study found that Guard units need more funding and training. The failure to develop self-reliant Iraqi forces: The U.S.-led effort to train and equip Iraqi forces was under-resourced for most of the war. A premature decision to transfer sovereignty to the Iraqis made it harder to blunt political pressure by Iraqi officials on Iraqi commanders. An ineffective detainee policy: The U.S. decided at the outset not to treat captured insurgents or militia fighters as prisoners of war and then never developed an effective way to handle detainees. Many Sunni insurgents were returned to the battlefield. Democracy doesn’t necessarily bring stability: U.S. commanders believed the 2005 Iraqi elections would have a “calming effect,” but those elections instead exacerbated ethnic and sectarian tensions. The report praises the 2007 surge and other COIN efforts, many of which have been attributed to leaders such as Odierno, retired Gen. David Petraeus and retired Lt. Gen. H.R. McMaster, who most recently served as President Trump’s national security adviser. At the same time, some of its critiques can be levied at specific decisions of past Army leaders, including former Army Chief of Staff Gen. Peter Schoomaker’s decision to move ahead with the BCT restructuring as part of the Army transformation. Also, the consolidation of U.S. forces on large bases, leading to a security vacuum around Baghdad, can be attributed to then-Gen. George Casey.